Posted at 3:32 pm on June 7, 2012 by Lori Z. Totally surreal morning.Met up with some friends, had coffee with President Obama now tweeting.The 21st century… Let's do this. Once again, President Obama is laser like focused only on his own job. Pander, schmooze and fund-raise like the wind! While Republicans in the House were focused on the dangerous incompetence of Attorney General Holder and his deadly Operation Fast and Furious, President Obama was yukking it up with actors and musicians. Man. Of. The. People. Hipster people only, but still. What pressing matter required actor/musician Jared Leto and actor Ian Somerhalder to weigh in with their vast expertise? Green energy and super cool youngsters and such! We hope they totally slow jammed the green energy talks. Also, they discussed a “better America.” We can only then assume that they talked about Obama’s impending defeat come November. Awkward! This is the voting bloc President Obama is now chasing. No, really. #50thingsIlove 20. 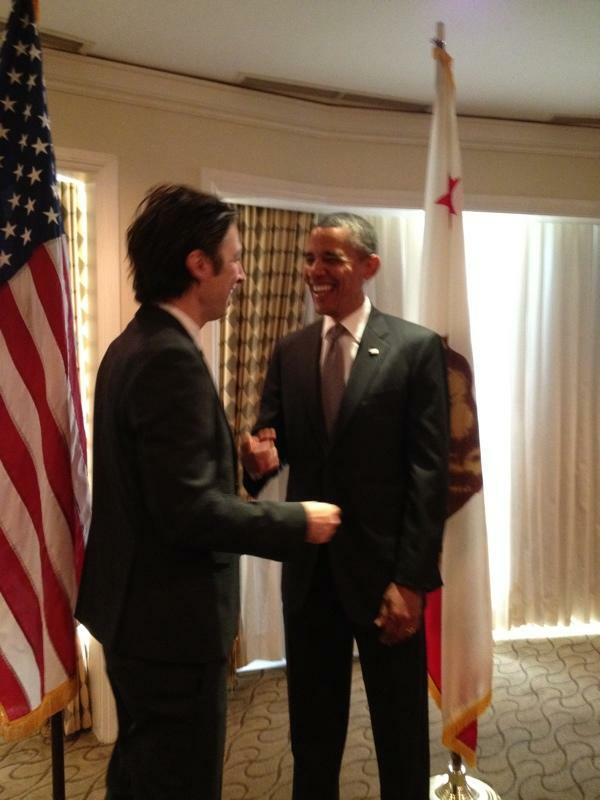 The fact that @JaredLeto can just casually go meet Obama…. "@berokh: Wow Obama met @JaredLeto and @iansomerhalder in the same day. It must be nice to be president"
Yes, because that is what a President should be spending his time doing. Sigh. Update: Ian Somerhalder continues to fan boy swoon. Good thing we had such an expert at the White House today, huh? Flashback: This isn’t the first time Obama has frittered away time with Hollywood types, under the strange assumption that they are experts on anything. He called in James Cameron to help his incompetent self with the BP oil spill. Brainstorming. With Hollywood. Dianna Agron from “Glee” also attended the private Hollywood-filled private morning meeting. And so did Bryan Greenberg. Typical “young Americans.” Basing more policy on “Glee,” Mr. President? How “evolving” of you! Jessica Alba, noted green energy and “typical young American” expert was also at the private breakfast meeting.